Test your skills in PSO2’s first solo Extreme Quest in the final update of Episode 3. We’ve updated the Nagoya post with even more tidbits about Episode 4! A new issue of Dengeki will release on January 14th, filled with information about the Episode 4 update. Included inside of the magazine is a code for two in-game Summoner items. Command your pets in style with a baton smartphone weapon camo, and slip a cookie into their candy box for some extra PP. ※This code will not be usable until after Episode 4 launches on January 27th. This quest may be cleared up to 5 times a week per ship. Your clear count resets on Wednesdays at 13:00 JST. Enemies will not drop Meseta in this quest. The next question will be announced on Saturday around 11:00 AM JST. It can take a few weeks before prizes are delivered. Get your hands on the coveted Flowen’s shield and Rico’s Red Rings by purchasing Premium Sets during the campaign period. This campaign is open to both PSO2 and PSO2es players! However, PSO2es players must link their account to qualify. so when is the release date for summoner class? I’ve always wondered this, but how does one get those codes? You’ll need to purchase the magazine in order to get the item code. where the code is located for the arks phone? It’s on the green card, attached between pages 162 & 163. Is there still An EQ Christmas on ice 4 after the maintenance? The [Merry Christmas on Ice 4] EQ will no longer be available after maintenance, along with the bingo and Xie’s client orders. Well, there goes 280 gold badges. Couldn’t you get them from level up quest? Oh my… You could get those from there? You could get bronze and silver, not entirely sure about gold. With any luck, Chaotic Border Break will give them out as well. No patch with this update? The new UQ is already in the files? ^ Why is no one answering this? Where will class stickers be released? With EP4? I finished new XQ, got 15 neros and a lot of lambdas from titles but no sticker. I want my bragging rights proof. Random drop, AFAIK. Kinda defeats the purpose if you ask me but Sega moves in mysterious ways. 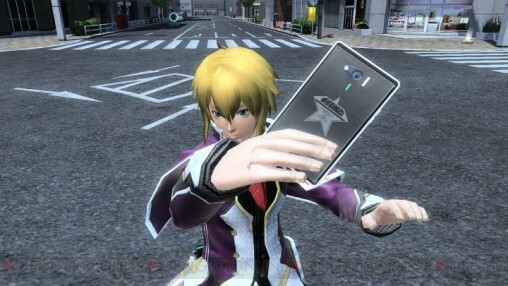 anyone knows where the code is located for the Arks phone?